Uncle Bob's in Winnipeg's is having a Spring Cleaning Sale event this weekend. Basically all clothing is 20% off and all sneakers are on sale. First pair is $60, second $50 and third $40. I am not a fan of the management at Royal Sports but I was in today at Uncle Bob's and the sales staff was pretty rad. If you have anywhere near a man foot (10.5-12) good luck finding any shoes but for the smaller sizes and the ladies its not too shabby of a sale. 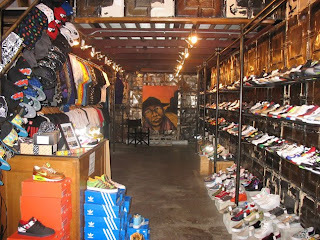 Uncle Bob's carries Nike, Jordan, Adidas, New Balance, Converse, Reebok, DC, Creative Recreation, Supra, Vans and Clae. They had some nice NB limiteds in stock and if you are in the market for some Vans slips you'll be pleasantly surprised at the selection but nothing really in terms of Nike Dunks, Air Forces, Jordans or Blazers. I am convinced the good stuff in in the back and probably will hit shelves Monday. 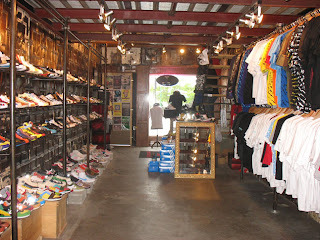 They do have a decent selection of clothing in stock right now including some Diamond, Mighty Healthy, Rogue, and FUCT.